Today we bring you another interview with Johnny Upside (read the first one here). 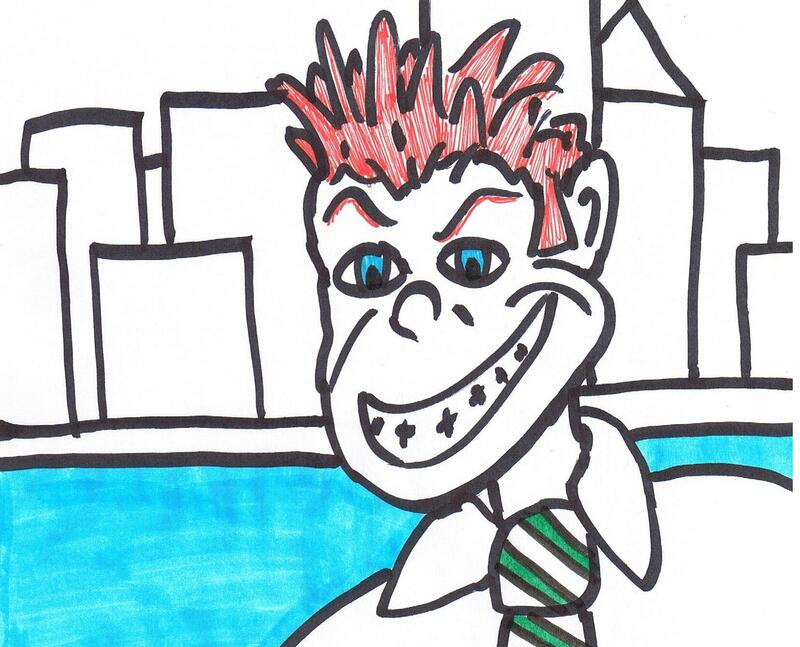 Johnny’s a Wall Street hotshot armed with an MBA, very little brain power and a limitless ego. Today, Johnny discusses his new venture, Distressed Asset Investing. The Reformed Broker: Hey Johnny, what’s happening? Johnny Upside: Happening? IT’S ALL HAPPENING, BABY! TRB: How’d it go setting up that Fund of Fund of Funds you were talking about at the beginning of the year? JU: Nah, not sure why, but for some reason I wasn’t getting a good reaction from the public for a feeder fund, let alone the fact that I was building a feeder fund to feed other feeder funds. Not pursuing the fund of fund of funds idea right now, amigo. TRB: Sorry to hear it didn’t work out, sounded like a great idea…so what are you up to these days? JU: I was going to keep it under wraps, but what the hell…I’m literally minutes away from launching my own Distressed Assets Fund. We’re gonna buy up every distressed friggin’ thing in sight! When the dust settles, I’ll own half the country! TRB: Certainly no shortage of distressed assets these days, what industry are you focusing on? JU: Well, originally, we were thinking residential real estate, like all those plots of land along A1A in Florida where construction wasn’t completed, stuff like that, but then commercial real estate started getting ugly, so I’ve been shopping for buildings and strip malls now, too. TRB: Sounds expensive, how do you plan to raise the capital for your efforts? JU: Don’t know if you’ve noticed that I’ve been using the word “we” a lot. I partnered up with a group of ex-Wall Street bankers, and former real estate finance dudes, we’re pooling our own capital together to go out there and start buying s%@#, ya know? TRB: I see. How many “partners” do you have? JU: Ummm, I don’t know, there are about 146 of us. But yo, I’m like Managing Director of Senior something or other, I’m the shotcaller, for real. TRB: Of course you are. Do you worry at all that you’ll be early in terms of buying distressed assets that get even more distressed? JU: No, because I’m gonna be the next Wilbur Ross. I’m gonna buy up mortgages and auto parts stuff too. TRB: OK, but you’re aware that Wilbur’s got over a billion bucks, he can patiently sit on investments longer than most. JU: Wait, what? Patience? Patience is for doctors. I’m a trader, homie. In. Out. Up. Down. I’ma be flippin’ mortgage papers and skyscrapers like pancakes. TRB: Yeah, that’s how it works. JU: Haven’t told you the best part: We’re doing it all as a public-private partnership! If we’re wrong, er, I mean early, Tim Geithner gets the taxpayers to eat the losses anyway! Don’t you read Paul Krugman? TRB: Sounds like you guys have it all figured out. What are you going to call your fund? JU: Wait for it…wait for it…Mayday Distressed Asset Partners. Awwww Yeah! TRB: Oh boy. Mr. Geithner…S.O.S.